Babiš’ Czech Republic: too thin a gruel? There is always a chance that, owing to unforeseen domestic or external dynamics, the Czech Republic may yet slide into illiberal isolation. But it will be not be by design. Central European politics is taking a dangerous turn. After the success last weekend of right-wing populists in Austria, today’s elections in the Czech Republic are likewise set to deliver a more Eurosceptic, and less liberal, government in Prague. The ultimate fear is that Andrej Babiš, a Slovak-born oligarch and media mogul whose ANO (Yes) party will come first with over 25 per cent, will align himself with extremists to steer the country down the same illiberal and isolationist path as Poland and Hungary. This possibility lends the election a sense of existential threat unfamiliar to Czech democratic politics after 1989. But how real is the fear? Much of the anxiety has do to with Babiš himself – and rightly so. 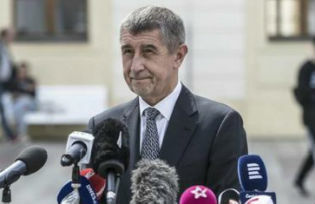 Should Babiš become prime minister, the sheer concentration of political and economic power in his hands would spell trouble for the integrity of Czech democratic institutions. Given that he currently faces charges for EU subsidy fraud, he might be tempted to subvert the rule of law or seize control of the public media. Beyond Babis, there is concern over the late surge of the far-right Party of Freedom and Direct Democracy (SPD) of Japanese-born entrepreneur Tomio Okamura, which champions a Czexit referendum and could easily cross 10 per cent. The worst-case scenario – for both the Czech Republic and Europe – would be the unholy alliance between a power-hungry Babiš and a xenophobic Okamura, possibly aided by the unreformed Communists and cheered on from the castle by the pro-Russian President Milos Zeman. In theory, such a configuration could trigger a pattern similar to Hungary or Poland: oligarchic centralization wrapped in nationalism and hostility towards the European project. In reality, however, fears of ‘Orbanization’ of Czech politics are misplaced, even if a Babiš-Okamura coalition were to emerge. This is not because of some innate resilience of Czech democratic institutions, or the strength of the country’s liberal constituency. Rather, it is due to the ideological emptiness of their challengers. Babiš himself is a quintessential opportunist. The defining trait of his political persona is the absence of any coherent set of ideas, let alone any alternative – illiberal – vision of Czech or European political order. His parochial and inconsistent Euroscepticism (ANO belongs to the ALDE political family), encapsulated in the rejection of Eurozone membership on the grounds of monetary sovereignty, is a far cry from Kaczynski’s and Orbán’s ideological project of turning back the clock on European liberalism and post-modern integration. Which also makes it too thin to sustain a centralizing regime. The same kind of intellectual flatness characterizes Babiš’s would-be allies on the fringes. SPD’s campaign employs a generic repertoire of Europe’s alt-right: it plays on voters’ fears of Muslim immigrants (of which there are precious few in the Czech Republic), incites hatred against Roma and other minorities, and rails against Brussels diktat. Yet Okamura’s rise owes more to skilful marketing than to any authentic connection to Czech nationalism (after all, he is half-Japanese). SPD’s role could easily have been filled by any of the other far-right groupings, had they hit on the right cocktail of xenophobia, anti-establishment rhetoric, charisma, and timing. When it comes to right-wing populism, the Czech Republic makes for a different terrain than the rest of Visegrad. The SPD is closer to west European far-right parties than to Jobbik of Hungary or far-right movements in Poland. The same holds true for the Czech Civic Democrats (ODS), polling below 10 per cent, whose comparatively milder Euroscepticism – a mixture of free-market and anti-immigrant attitudes – is taken straight out of the Tory Brexiters’ playbook. The paradox of Czech anti-European sentiment is that it is widespread – popular trust in the EU is consistently among the lowest across the Union – but ideologically diffuse and bereft of any organizing idea. Unlike elsewhere in Central Europe, Czech nationalism has no fascist or ultra-conservative legacy to draw upon. Beyond a lingering and fading mistrust of Germany, Czech right-wing populists lack a powerful national myth – akin to Poland’s and Hungary’s sense of historical victimhood – to tap into and mobilize around. Hence the relative prominence of petty symbols – such as the alleged EU ban on traditional Czech rum – in the Eurosceptic narrative. The upcoming election, in which Eurosceptic parties (ANO, SPD, Communists, ODS) are set to garner well over half the vote, will be interpreted as a Czech revolt against Europe. Yet it is more a product of indifference than intense hostility. Rather than deep-seated structural factors – cultural or socio-economic – Czech mistrust of the EU speaks to the weakness and incompetence of an entire generation of centrist pro-European politicians, who have failed to articulate a positive vision of the Czech role in the EU, thus ceding discursive ground to the likes of former President Vaclav Klaus, Milos Zeman, and now Babis and Okamura. Much of the blame lays on the governing Social Democrats, who could not muster the courage and strategic foresight to make a compelling case for Eurozone membership in the campaign. This stands in contrast to their closest ally, Slovakia’s Robert Fico. In 2016, Fico – another quintessential Central European opportunist – exploited the hysteria surrounding the refugee quota mechanism for electoral gain. Unlike Czech Prime Minister Sobotka, however, he then used his credibility as a defender of conservative and national values against Brussels to make a U-turn and sway the Slovak public in favor of deeper EU integration in 2017. In all, given the ideological emptiness in Czech attitudes towards Europe, on both sides of the debate, the election portends more continuity than rupture. The new government, most likely dominated by ANO, will resist Eurozone and Banking Union membership. It will eschew closer EU integration in other areas, possibly barring defence and security. Prague will align with Warsaw and Budapest on issues such as immigration and opposition to multispeed Europe, but is unlikely to join their counterrevolutionary crusade against European liberalism, and instead will balance its EU policy through strong bilateral ties to Germany and Slovakia. There is always a chance that, owing to unforeseen domestic or external dynamics, the Czech Republic may yet slide into illiberal isolation. But it will be not be by design. Michal Simecka is a senior researcher at the Institute of International Relations in Prague. He previously worked as a foreign policy advisor to Members of the European Parliament in Brussels, and holds a D.Phil. (PhD) in Politics from Nuffield College, University of Oxford.